About a month ago, Playdigious announced that Cultist Simulator, developed by Weather Factory, would be coming to Android and iOS devices following a successful launch on PC last year. This morning, Weather Factory tweeted the exact date we can expect the game on our mobile devices: April 2. So what is Cultist Simulator? 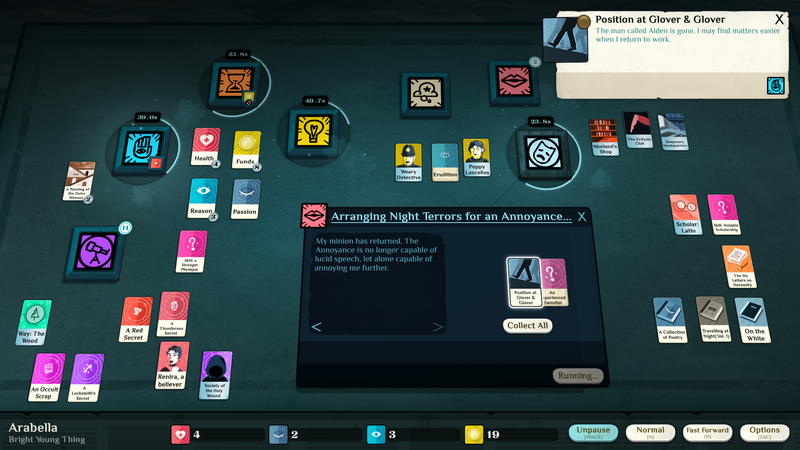 In short, it’s a roguelike narrative card game where your choices both advance and shape the story. As a scholar of the unseen arts, your goal is to found a cult, amass believers… then feed upon them. The developers reference Lovecraft often when describing the game. You can currently pre-register for the title on Android here; there is currently no pre-order option on iOS, but you can register to be notified via e-mail here. Players on both platforms will be able to purchase the game at a discount around launch.